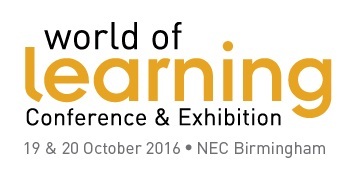 A week today (Wednesday 19 October) we’ll be joining over 100 exhibitors at the World of Learning conference at the NEC, Birmingham. The Uni@Work stand is in the Apprenticeship Zone, specially created this year with expert advice from Claire Buckland, Head of Uni@Work and Coventry University Group’s Apprenticeship Ambassador. The Apprenticeship Zone will provide a one-stop shop for organisations who want to know more about apprenticeships and the Apprenticeship Levy. On the following day (Thursday 20 October) at 10.45 am, Claire Buckland will be speaking about the Apprenticeship Levy in the Apprenticeship Zone seminar theatre. An acknowledged expert in the field of workplace learning, Claire is part of the Trailblazer group for the first Master’s Apprenticeship, which will provide both Master’s Degree and Chartered Fellow status with the Chartered Management Institute (CMI). A programme of speakers in the Apprenticeship Zone throughout the two-day event will cover all aspects of apprenticeships, including the new Higher and Degree Apprenticeships, from how the Levy will work to structuring and delivering an Apprenticeship programme. Our programmes are tailored to the culture and business requirements of individual employers. We can also advise on the latest information regarding the Apprenticeship Levy and how to get the best from it, whether or not your organisation is liable to pay it from April 2017. Find out about your work style and preferences, and how they affect your interaction with others. Identify your strengths and weaknesses, and find out how to use them effectively in communications and negotiations. Personality profiling is one of the tools used by Uni@Work Higher Education Learning and Development Partners (HEL&DPs) to identify learners’ individual learning preferences. This enables HELDPS to tailor programme delivery to the needs of each group, helping them achieve successful completion of the programme. Uni@Work HELDPs will be on hand during both days to discuss Uni@Work’s unique blend of learning delivery methods, which includes face-to-face group sessions and one-to-one coaching as well as online learning and self-directed study. Oh – and did we mention the free popcorn, freshly made on our stand? More information about World of Learning 2016 can be found online at the Learn Events website.  If you are attending the conference/exhibition and would like to make an appointment to discuss your particular requirements, please contact Uni@Work. Visit the Uni@Work Stand H10 – we’d love to see you!